The new feature will also work offline, with downloaded maps. Google’s latest addition to Maps, rolling out with the latest update, is ‘List’. 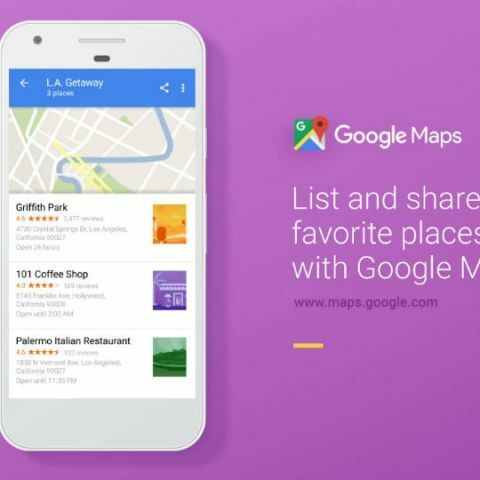 With this, users can now create lists of recommended places in a city, and share the same with peers from within the Google Maps app itself. Users can curate lists from saved places and range them from favourite restaurants to best hangout areas, or even add a list for places one is interested in visiting. To make the feature versatile, Google is adding in-app sharing and offline functionality to Lists. With in-app sharing, you can easily share a link to your curated list of recommended and interesting places in a city from within Google Maps, via any app installed on your phone including Facebook, Messenger, WhatsApp, Twitter and more. This is aimed at making Google Maps a more cohesive ecosystem, and will allow more users make good use of the full potential of Maps. Lists can also work offline. For this, you will be required to download the map of a certain region. Once the map is saved, adding a place to your list will automatically update it on the offline map as well. To create a List, you need to click on the hamburger menu icon on the top left, tap on ‘Your Places’, open ‘Saved’, and tap on the blue ‘Add’ icon to create a list. Alternatively, you can tap on the icon of a place on the map, save it and add it directly to a new or existing list. The update bringing this feature has not yet been made available for iOS in India, but should be rolled out very soon. Lists for Google Maps is available for both iOS and Android devices.